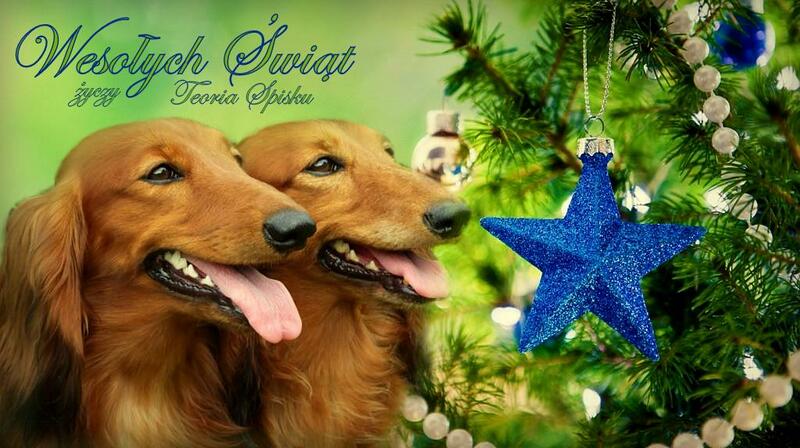 Merry Christmas and Happy New Year 2015 for all friends of Teoria Spisku kennel! 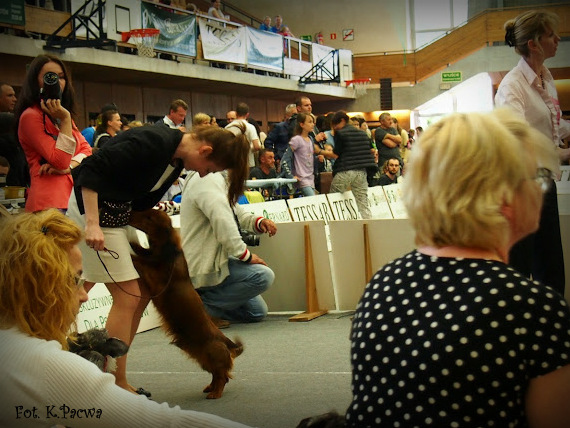 During dubble CACIB show in Poznań, our little kennel was represented by Sky Spirit UPRAVLYAY I VLASTVUY (in home Ivan). 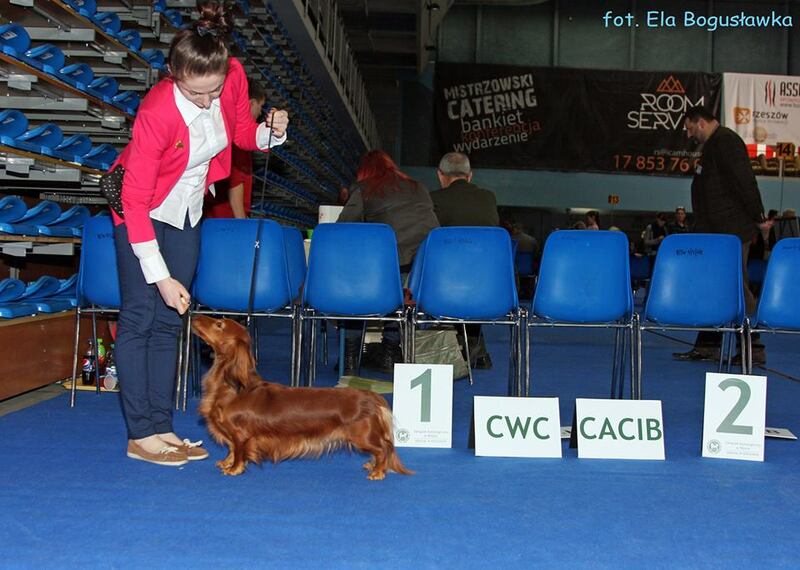 In first day under judge Ina Małecka (Poland), Ivan got Junior CAC and Junior BOB tittle. 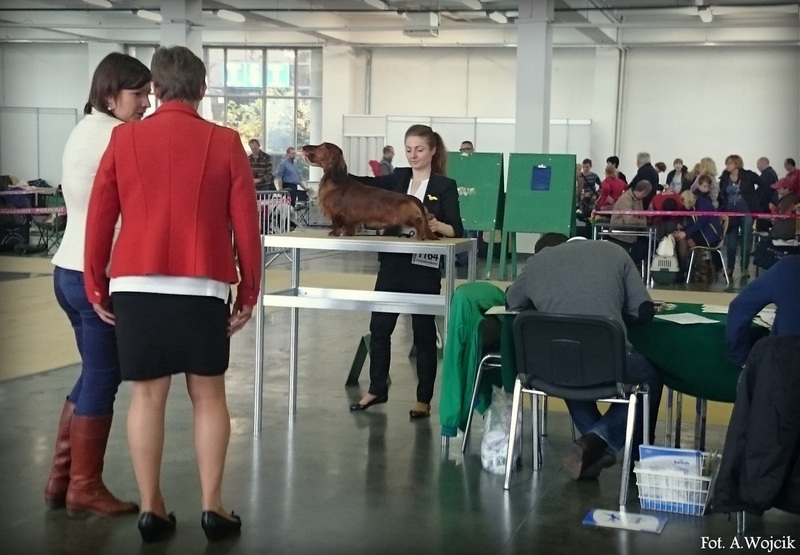 In second day under judge Victor Lobakin (Azerbejan), Ivan got Junior CAC, Junior BOB, Junior Winner of Poland and Cruft's nomination. Many thanks for Angelika Wójcik (Impuls i Splendor kennel) for photos, all trip and lovely company. Thank You Angela!!! 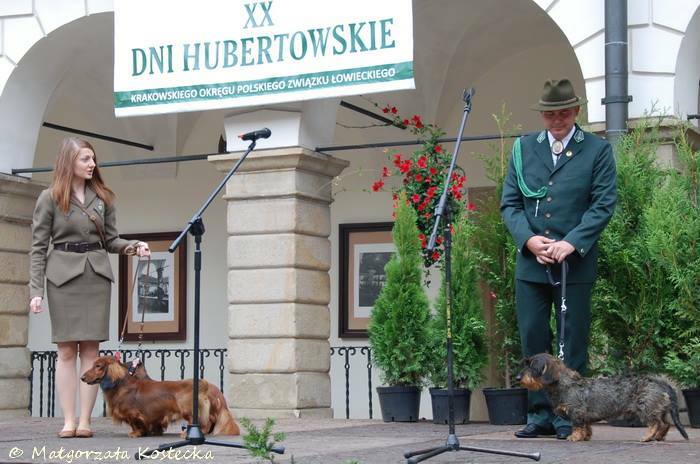 Our kennel was invited for presentations of working dogs during "20th Days of Hubertus" organized by Polski Związek Łowiecki (Polish Hunting Club) who cooperate with ZKwP Kraków. 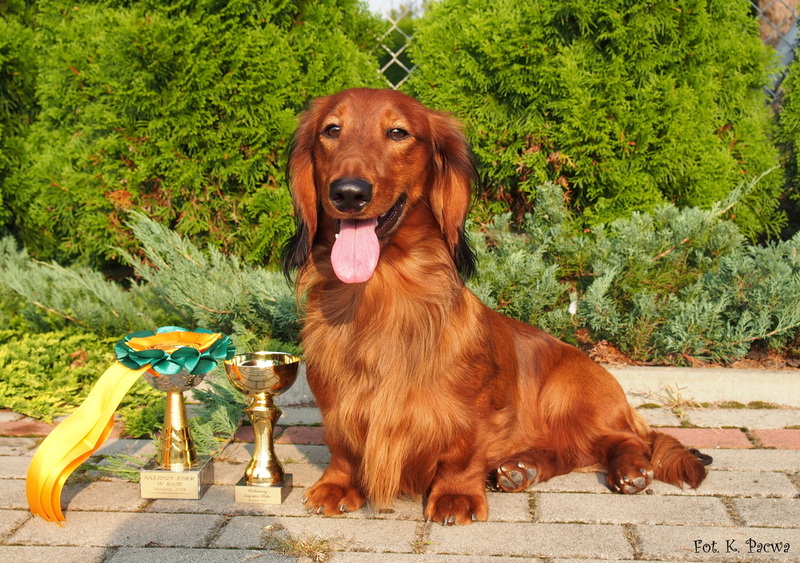 My kennel was represented by FRESQE FASCINARE Teoria Spisku and Sky Spirit UPRAVLYAY I VLASTVUY. We have lovely saturday evening with our friend company. 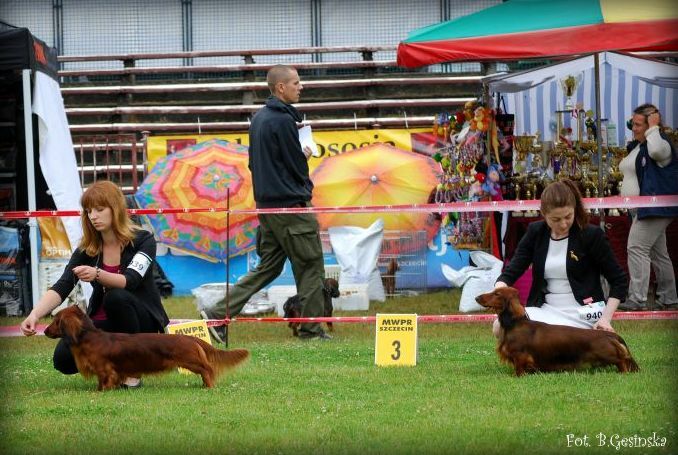 Special thanks for Angelika Wójcik ("Impuls i Splendor" kennel) for company and big help during this presentation and Małgorzata Kostecka ("Margaret's Pride" kennel) for this lovely photo. That lovely weekend we spent together with our friends, who crossed fingers for little Ivan - Sky Spirit UPRAVLYAY I VLASTVUY who was showed in junior class. Ivan got Junior Winner tittle, Best Junior in Breed, BOB and 3rd place on Best of Group competition. 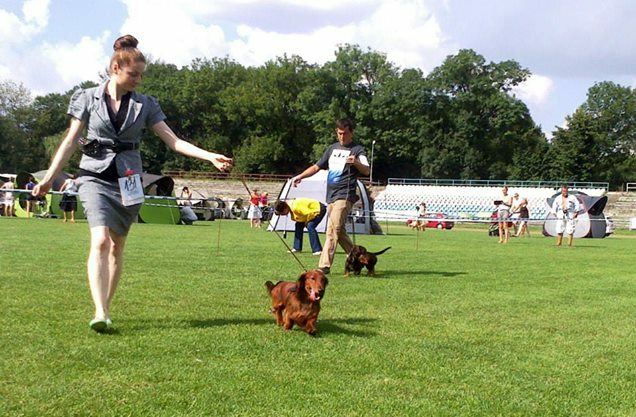 I hope that it will be standard to see dachshund on Junior Handling ring!!! I love it!!! 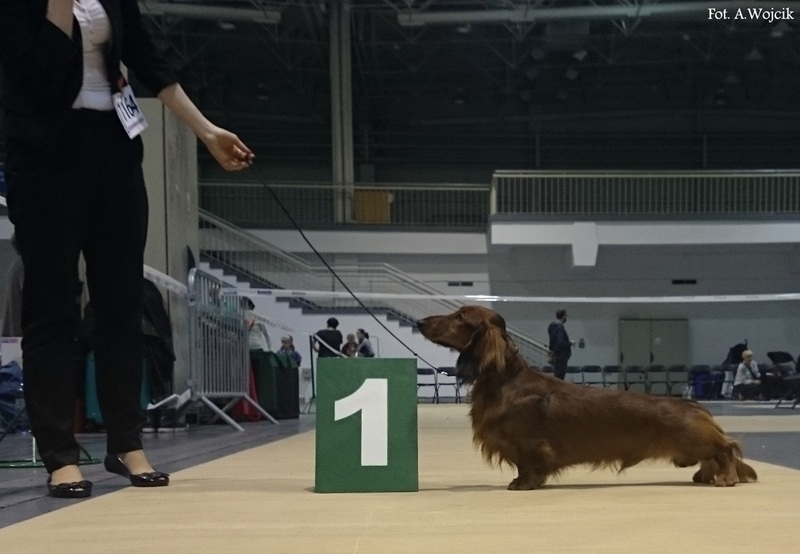 Sky Spirit UPRAVLYAY I VLASTVUY who in Junior class got Junior Winner tittle, Best Junior in Breed, BOB and 3rd place on BOG. Visiting our family in Szczecin. We spent lovely time in this amazing city in north side of Poland. 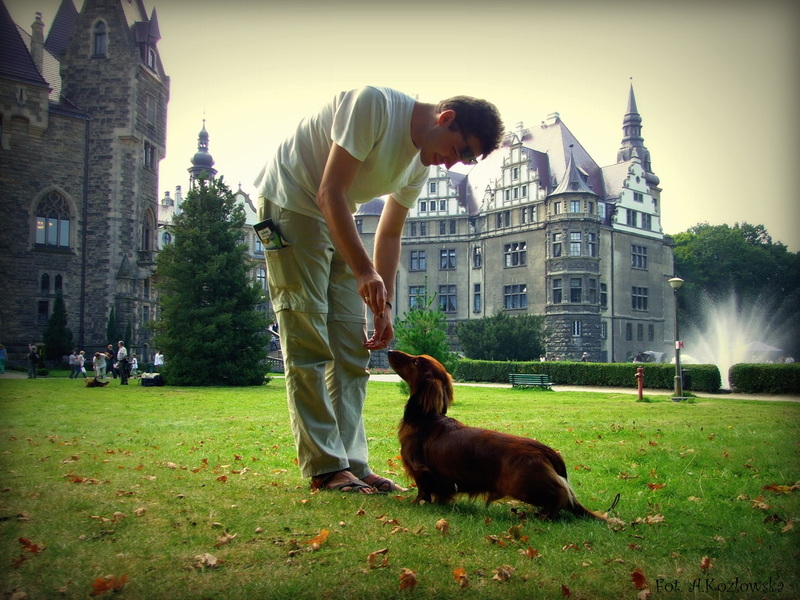 Many walks and happy moments with our friend Barbara Zawisza and her dogs: Ben ans Felix - our dog family. 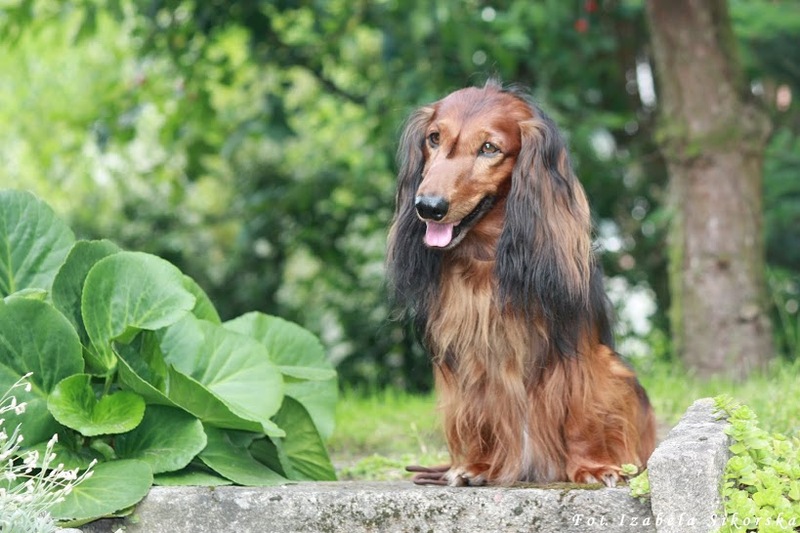 Ben is father of first litter of Teoria Spisku kennel. Felix is first boy who was born under our prefix. 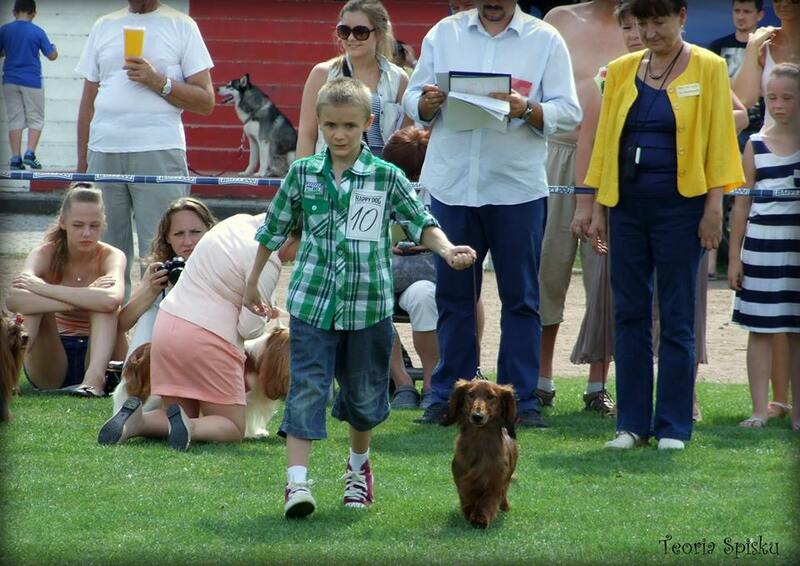 Our boy Ivan- Sky Spirit UPRAVLYAY I VLASTVUY in junior class with 1st place and excellent note. 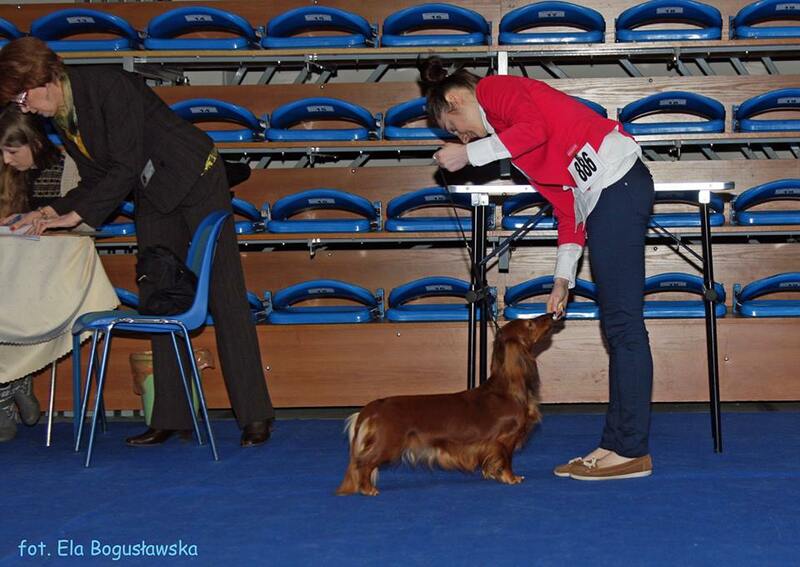 Many thanks to Beata Gęsińska for this lovely photo during ring competition. 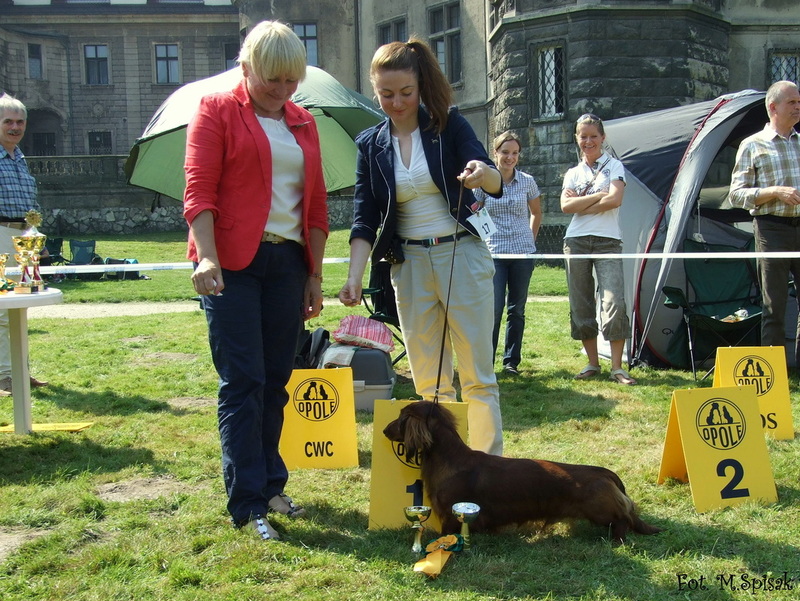 First show of our Ivan -Sky Spirit UPRAVLYAY I VLASTVUY in puppy class with Best Puppy in Breed tittle. 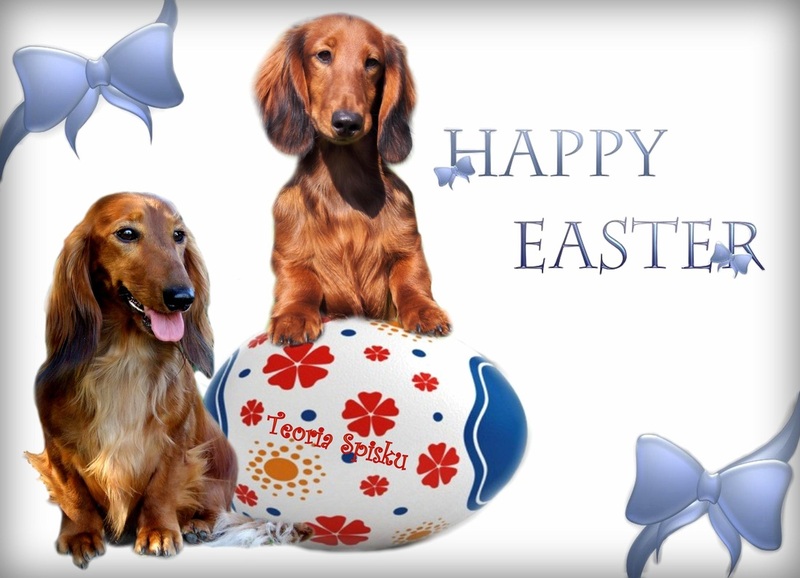 Happy easter for all friends of "Teoria Spisku" kennel!!! 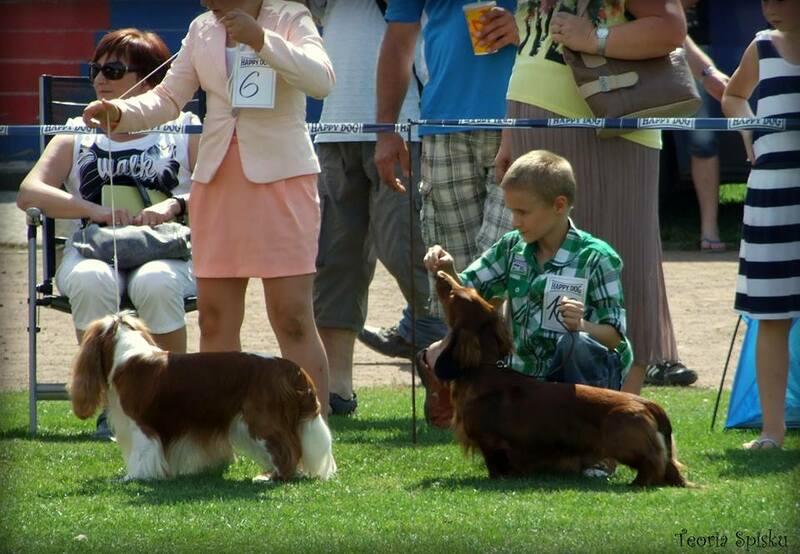 That was lucky show for dogs from Teoria Spisku kennel. 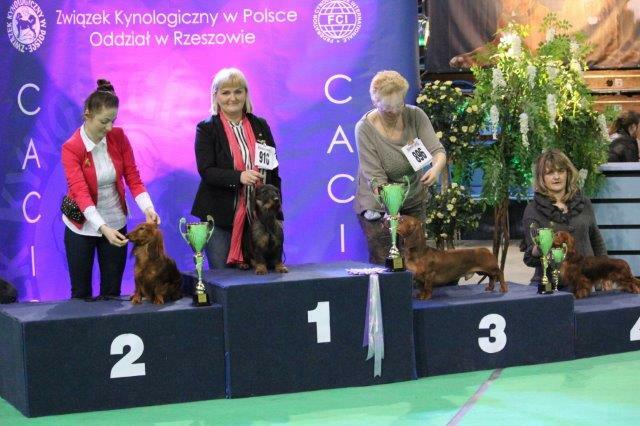 VICE VERSA Teoria Spisku in champion class was the best longaired dachshund in Jarosław and got CAC, BOB and 2nd BOG. 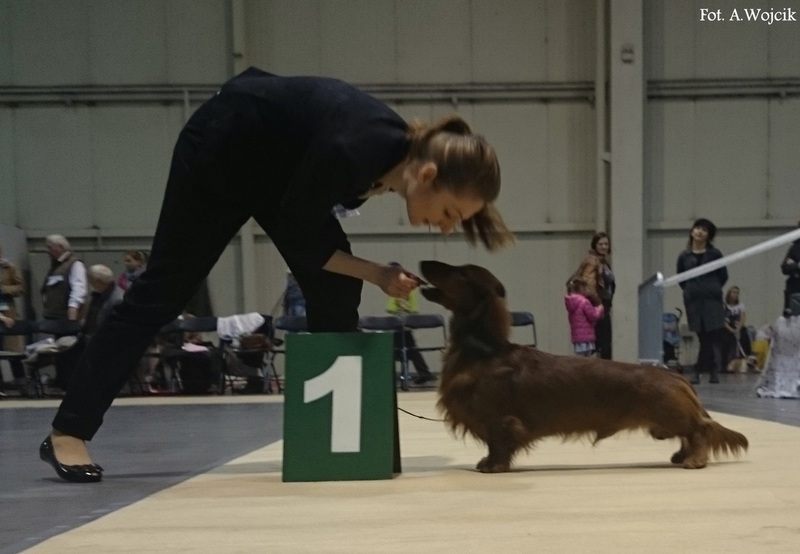 JAZZ Corigentia in veteran class say "goodbye" in amazing style in my friend - Anna Frieske- hands. Thanks Anna, JAZZ got CAC, BOB and 4th BOG. That was JAZZ's last show. I wanted say "thank You JAZZ" during Best Veteran competition, where our all work was appreciated and JAZZ got 3rd place! Ania- thank You for nice company and great help during show. Thank You for hard work with JAZZ. Photos taken by Karolina Sławińska. 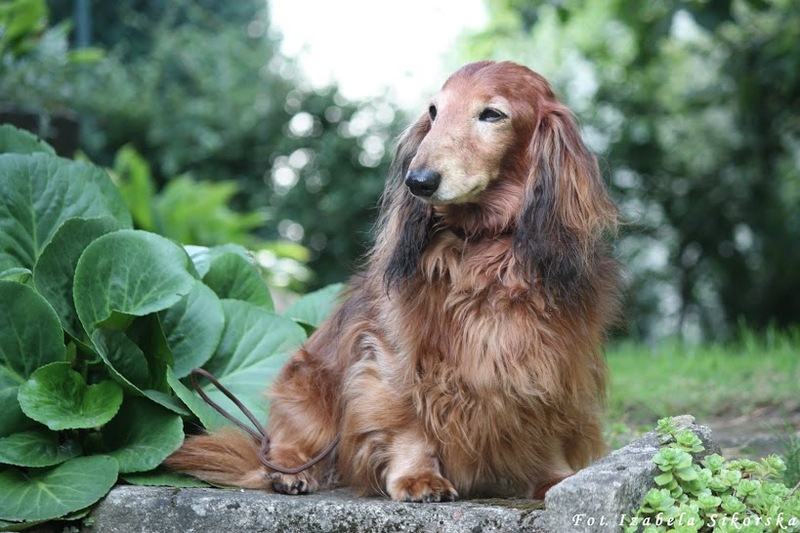 Teoria Spisku presents dachshund longhaired standard who will live with us: Sky Spirit UPRAVLYAY I VLASTVUY (in home: Ivan). 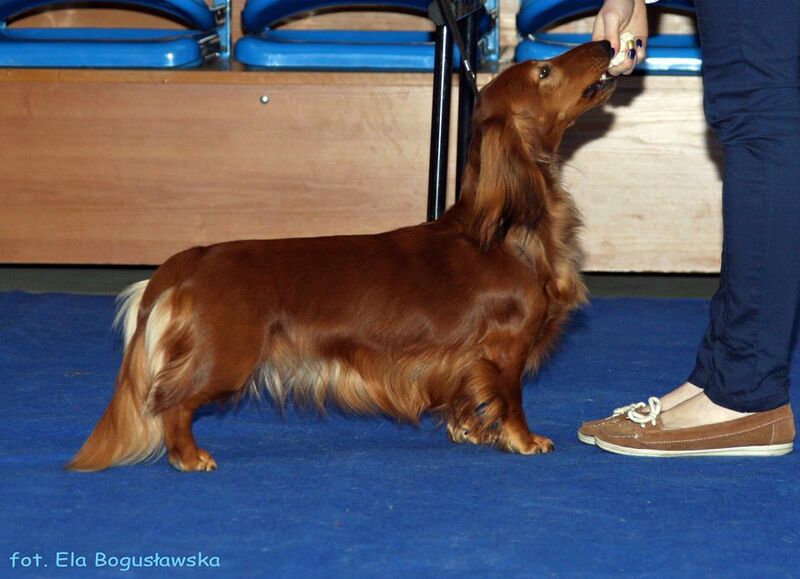 Ivan came to Poland from Marina Zenova (Sky Spirit kennel) from Russia. Thank You Marina for this lovely boy!!! Photos taken by: Danuta Wołkowska, Elżbieta Bogusławska - Przybysz, Mirosław Olejnik- thank You all for this lovely souvenir from Rzeszów! I would like to thank all our friends and Versa's fans for keeping fingers crossed!!! Materials and photos used on this page are my property. If You need to use some of materials from this website feel free to contact us.